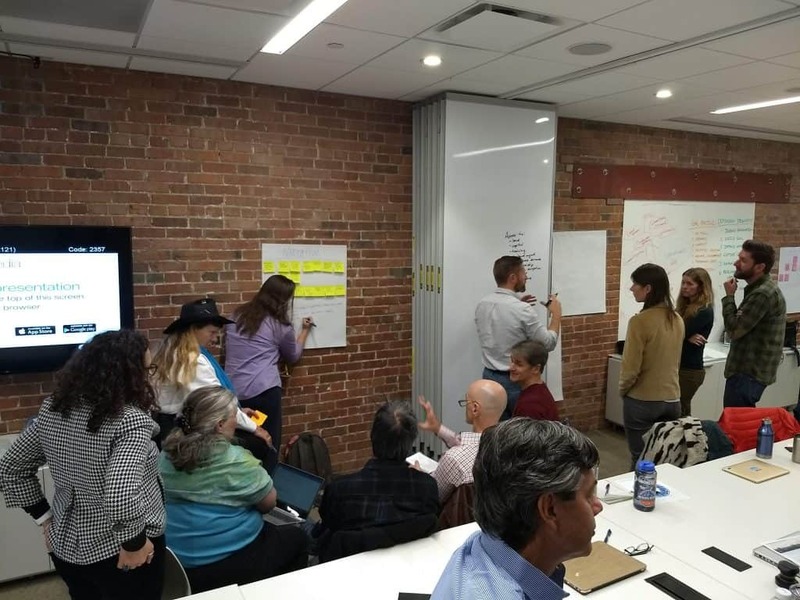 Natural Capitalism Solutions’ (NCS) efforts to help guide a Regenerative Economy in the Denver-Boulder area are just beginning, but momentum is building and energy coalescing around making this vision a reality. There’s one missing ingredient we need, however, to make sure this movement grows: you. 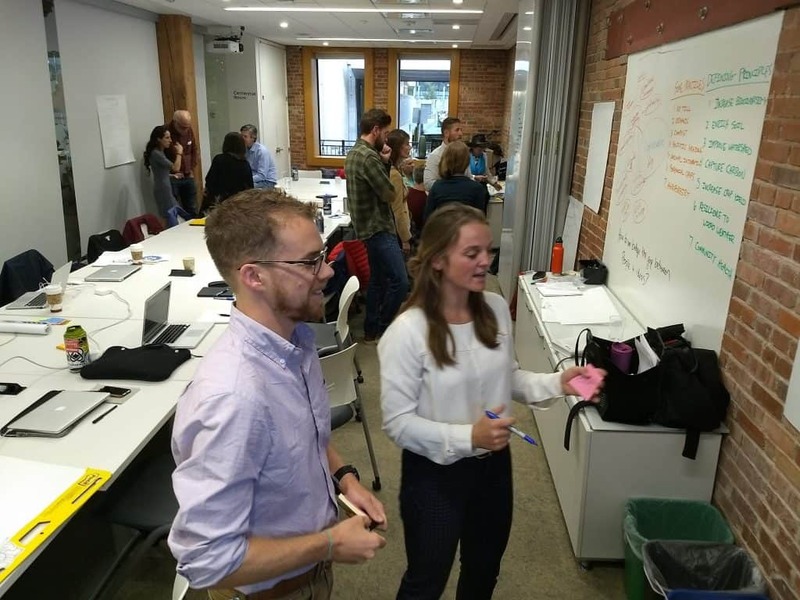 In 2017, NCS hosted the “Finer Future Forum.” A group of local influencers in the Denver-Boulder area began exploring how to transition our economy away from damaging industries like oil and gas that are at risk of becoming stranded, to an economy in service to life. 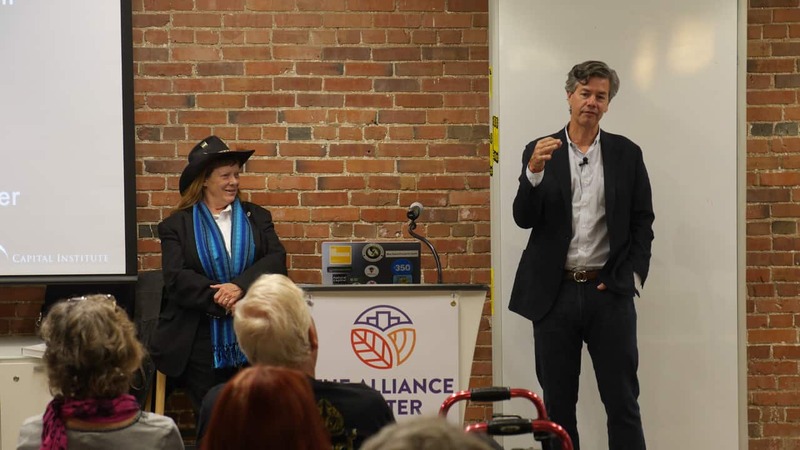 This work set the stage for NCS’s “Regenerative Future Summit,” a Boulder gathering of almost 300 people from around the U.S. At that meeting, several globally-focused groups agreed to merge to form the global Well-Being Economy Alliance (WEAll). NCS then launched the Regenerative Community Hub with John Fullerton’s Capital Institute. 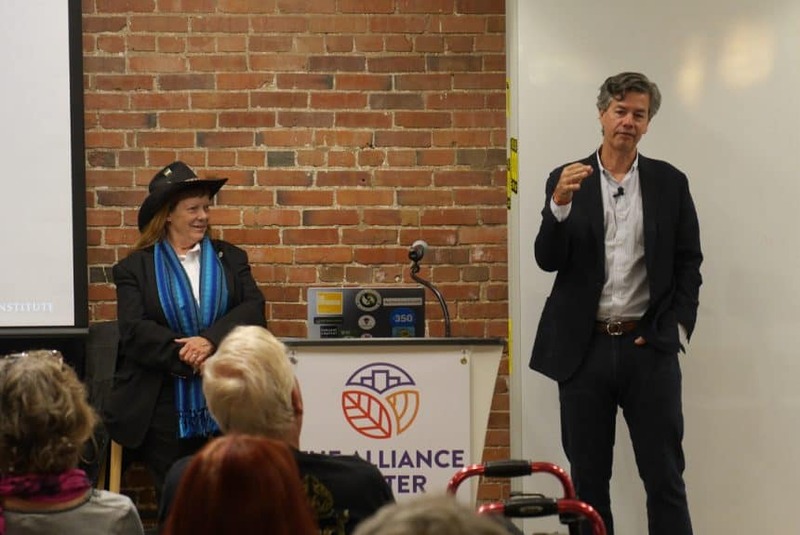 In October 2018, John Fullerton, Hunter Lovins and others directed a two-day event with more than 50 people from the Alliance Center, B-Corp Colorado, Savory Institute, Rocky Mountain Farmers Union, City Craft Ventures (a regenerative developer), Regis University, faith communities, local government officials and citizens. These and many other groups agreed to become key partners in the effort. In January 2019, John Fullerton and Stuart Cowan of Capital Institute returned to Denver to convene our second major gathering. Since then a variety of meetings have moved the process forward. These are bold ideas, and the stakes have never been higher. NCS has carried the effort to this point through volunteerism, dedication and providing seed funding. But we can’t get where we need to be without the support of local residents, employees, activists, thinkers, doers—people like you. By choosing to join our movement, you will help us maintain the momentum and power we need to carry our efforts forward in 2019 and beyond. You can be part of this movement by taking actions big or small. Share our posts on social media about regeneration, consider donating to NCS, come to our events, write Letters to the Editor, call your representatives, start conversations, think creatively about how your business can become more regenerative, and use your imagination to envision a future economy that delivers shared prosperity on a healthy planet. Join us in co-creating a finer future as we support Denver-Boulder communities wherever real change is happening. This is how people, communities and culture change. By coming together as a network, we can find and share the stories that define a new vision and narrative for tomorrow. This is the seed of a global movement. With your assistance we can incubate real change in Colorado. This is the final blog post in a 4-Part series about NCS’s collaborative work to help create the Regenerative Hub. Read parts 1, 2, and 3 if you missed them. Thank you for joining us on this journey and being part of the movement to transition Colorado to the economy of the future.